Midwest Clinic Invitation. We are thrilled, proud and humbled to announce that the Westwood Symphony Orchestra has been invited to perform a concert at the prestigious Midwest Band and Orchestra Clinic in Chicago this upcoming December! Students in next year's Wind Ensemble will combine with the Symphony Orchestra strings to present this performance. Find out more about The Midwest Clinic. Mattress Fundraiser. Get ready for a good night's sleep! Our mattress fundraising event is Saturday, April 27 10AM-5PM in the Westwood HS band hall. Shop and save on top manufacturers and brand mattresses while supporting the Westwood Warrior Band! All bed sizes and styles will be available, as well as delivery and finance options. Learn more on our Facebook event page. Band Banquet. Our annual band banquet is just around the corner. Families and friends, be sure to purchase your tickets by Friday, April 26. TICKETS WILL NOT BE SOLD AT THE DOOR. We still need parent volunteers, especially freshmen, sophomore and junior parents, to help set up, clean up and various tasks throughout the night. Sign up to volunteer. UIL. Congratulations to all four of our bands (Concert, Symphonic, Wind Symphony and Wind Ensemble) for earning straight ones at UIL! We are so proud of all of our students! • Learn something new, make new friends and have fun with the Westwood Colorguard! 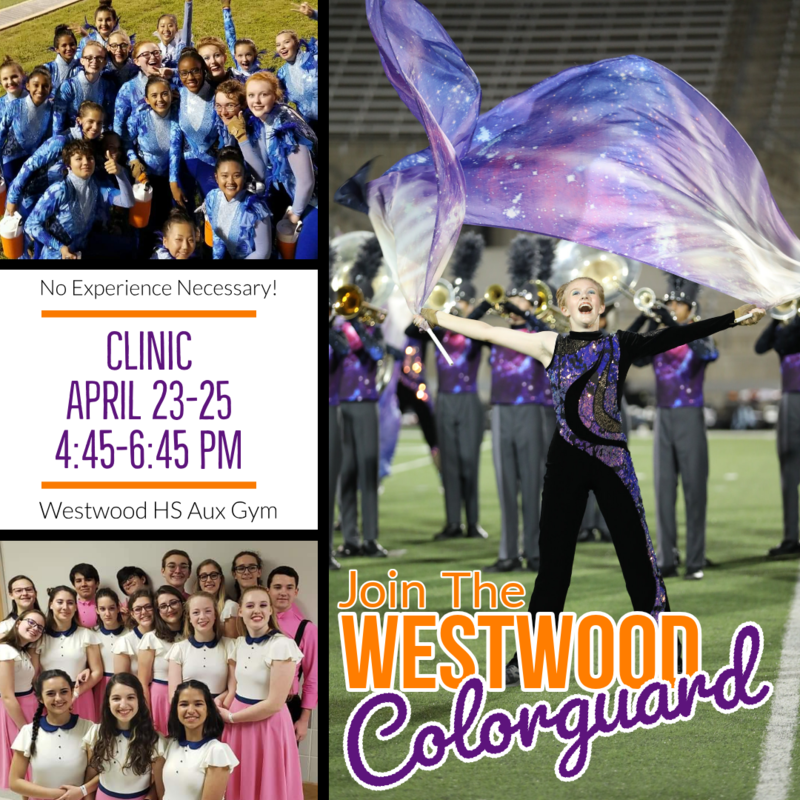 Join our Colorguard Clinic on April 23-25, 4:45-6:45 PM in the Westwood auxiliary gym (no experience necessary). Email christopher.josey@roundrockisd.org with any questions. • Save the date for our Spring Concert on Tuesday, May 14 at the RRISD Performing Arts Center. And newcomers won't want to miss the New Band Member Camp Saturday, May 18! Stay Current. Add the band Google calendar to your mobile device to stay current with upcoming practice times and events. Keep up with the Westwood Warrior Band on Facebook, Instagram, Twitter, Flickr and YouTube. Get Involved. You can get involved and support the Westwood Area Bands by renewing your Westwood Area Band Boosters membership, volunteering, and sponsoring our band programs. Wind Ensemble Earns Straight 1's! Wind Symphony Earns Straight 1's! Symphonic Band Earns Straight 1's! Concert Band Earns Straight 1's! Sponsoring the Westwood Area Bands is a great way to connect with the Westwood community! Depending on the level of sponsorship you choose, you will gain visibility through our website, social media accounts, signage and at home football games (see the below forms for details). 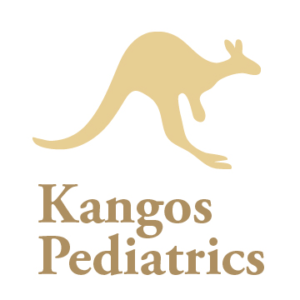 And as a sponsor, your donation is completely tax deductible.